Every year when winter turns into spring, my comfort food cravings turn from hearty, warming soups to fresh salads. And recently I've been very into using grains and legumes combined with vegetables. My favourites are pearl barley, quinoa, or puy lentils. They give my salads body and bite and make them into light but filling meals. I made this salad a few days ago, using just a few ingredients that I had a home. It was easy to assemble and I really loved how it turned out, taste-wise and in the looks department, what with the specks of green and yellow running through it and the zing of the lemon against the saltiness of the cheese. It's also quite good for you, I think. In a small saucepan, cover the barley with water and bring to the boil. Cook for about 10 to 15 minutes, until grains are nice and soft but still retain some bite. Drain into a sieve and cool down under running cold water. 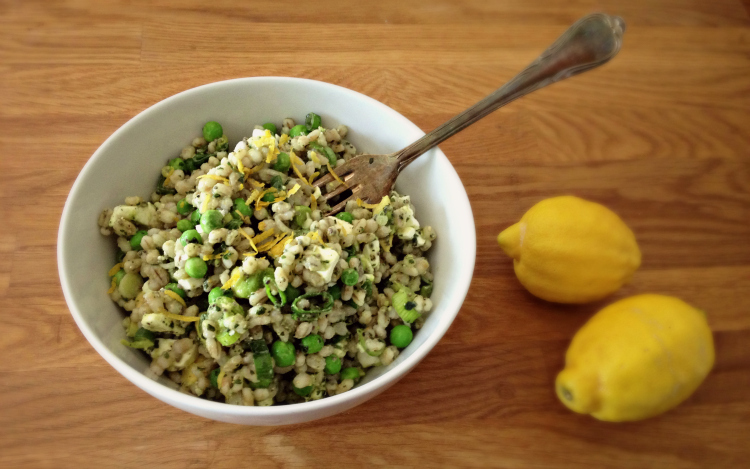 In a salad bowl, combine the cooled barley with all the other ingredients and mix well. Season to taste with salt and pepper. Enjoy. 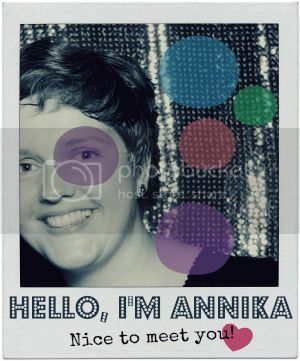 © Text & Photos - Annika - All The Live Long Day (unless otherwise stated).